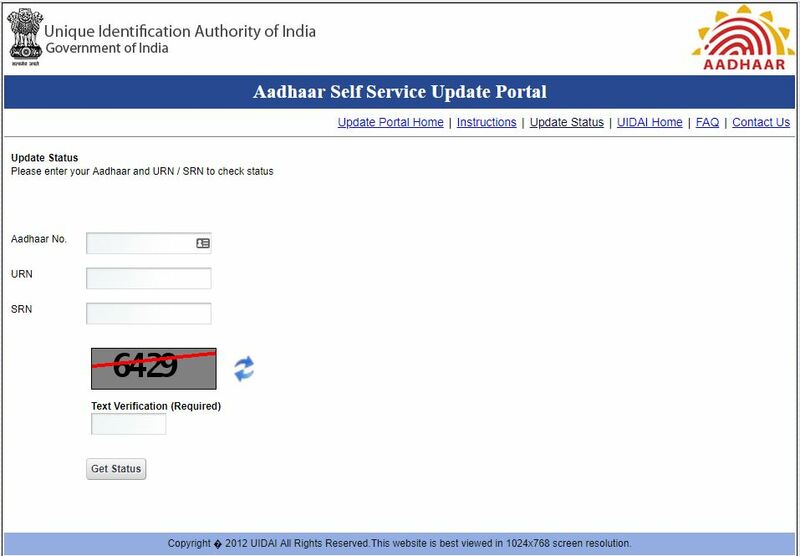 If anyone changes his/her residential address, then it is required to update the new address on their Aadhaar card. 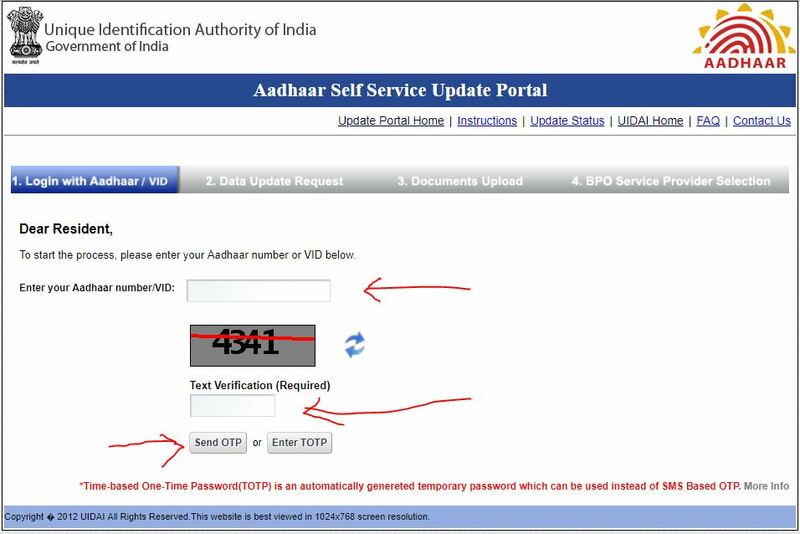 You don’t worry about Aadhaar card address change. You don’t have to go anywhere. Now you can do it online. Anyone can update Aadhaar details online. 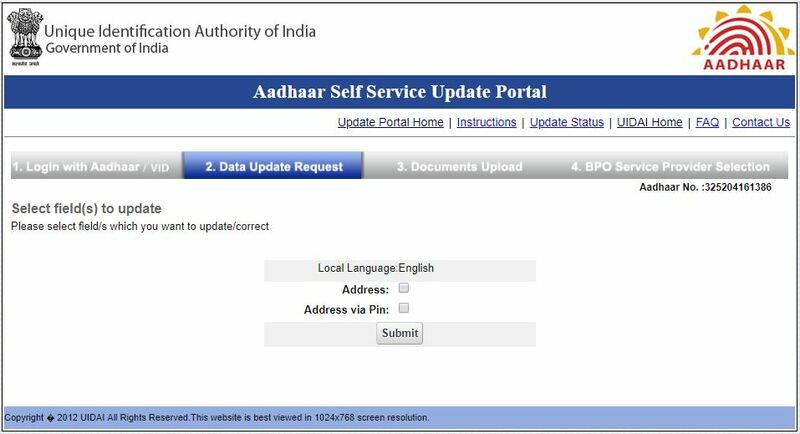 If you are using online Self Service Update Portal (SSUP) for updation, you can request for Aadhhaar card update. Here you can update your demographic details only. But now they only allow to update your address online. You must have mobile number linked with Aadhaar while using this service. For other Demographic data updation, you must visit nearest Aadhaar Enrollment Center. However, you can not update Bio-metric Details online. 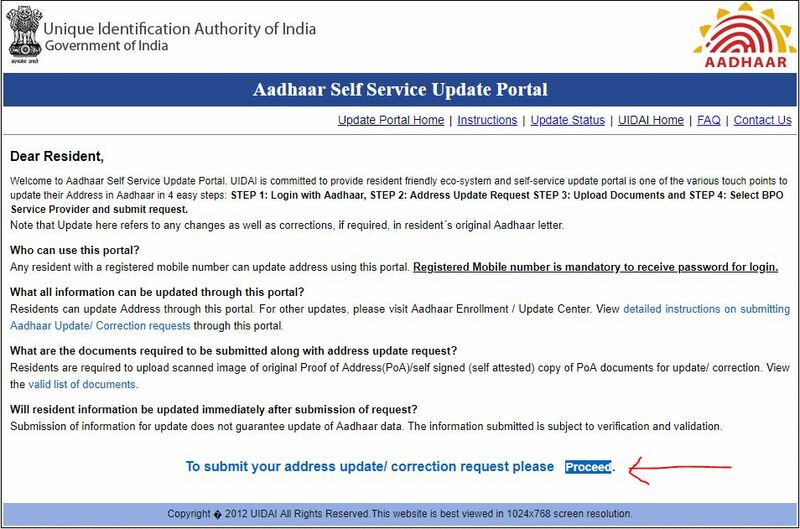 You may follow the steps below to update address of your Aadhaar card online. After submitting Aadhaar card address change request, wait at least 24 hours. After that you may check status of your Aadhaar card update request. It takes 24 to 72 hours for your request to be processed. It depend on the agency to which you selected to submit your request. 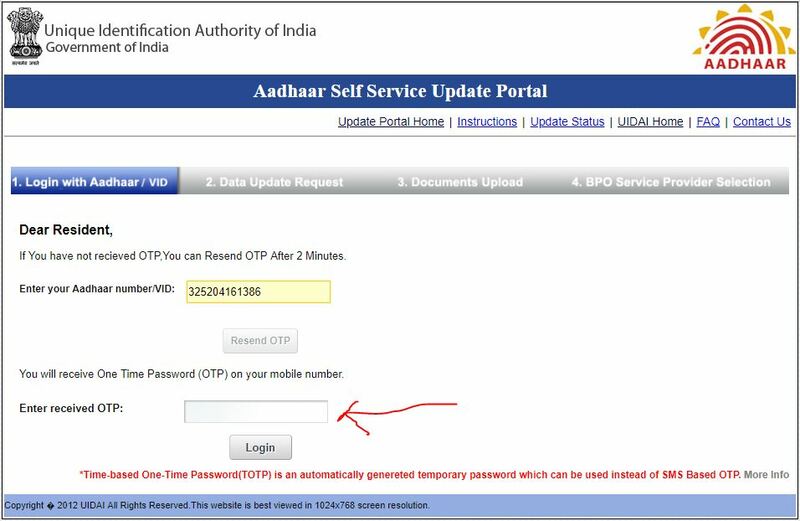 To check your Aadhaar card update status online, please follow these steps bellow. After successful submission of your address update request, you must note down the URN and SRN that appear on the screen. You also receive an email with your request number if you provide your email during the submission of update request. You need to enter either URN or SRN to check your update request status online. One can also update any details by physically visiting nearest Aadhaar enrollment center.